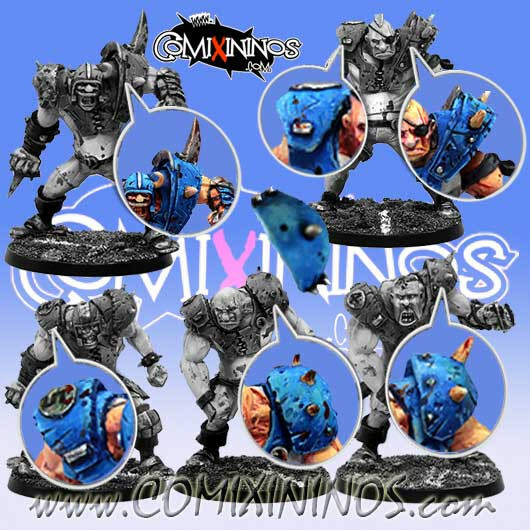 Set of 7 Ogre Shoulder Pads. Very useful for your conversions: give to any miniature you wish a more “Blood Bowl looking” with these shoulder pads. Made by Meiko Miniatures in metal. The picture shows the item on sale.